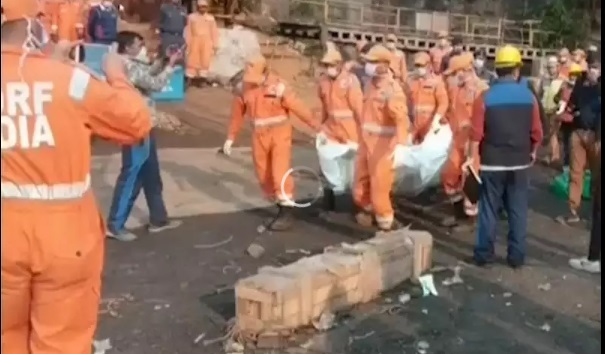 The body retrieved from the coal mine at East Jaintia Hills district of Meghalaya on Thursday has been identified to be of one Amir Hussain of western Assam’s Chirang district. A senior district administration officer said this on Friday while adding that the deceased’s mother and wife have identified the body. The district administration said that help is being organized to transport the body to the deceased’s village in Chirang district after completion of all the necessary procedures. The rescuers have been continuing with the operations to locate the remains of other trapped miners, officials said. The body of the trapped miner was fished out on Thursday by the rescuers and it was kept at the morgue of Khliehriat Community Health Centre in Meghalaya for identification by relatives. Inquest has been conducted on the body in presence of magistrate, deputy commissioner and medical officers. Joint teams of Indian Navy, NDRF and civil administration officials pulled out the body of miner on Thursday. The body, which was detected earlier in the mine, had slipped from the grip of the Indian Navy’s underwater remotely operated vehicle (ROV). The body is decomposed but yet intact. The body of miner was packed and pulled out from a depth of 170 feet in the 355-foot deep main shaft of the mine. It was taken to the civil hospital immediately for the post mortem.